Well not really, this revised logo was first used during our 80th Anniversary Year (2016-2017), bearing an appropriate strapline high-lighting the occasion, and it has been retained on our website, minus the strapline, ever since. However, the beginning of a New Year seemed an apposite time to standardise our image. The original logo roundel, which has been in use for many years and is retained, was designed by Fred Kaan. The first four notes are SINE NOMINE. The Application Form, with full details about this year’s Two-Day Conference, is enclosed. It will be held from mid-day Tuesday 23rd to Thursday 25th July 2019 at the Canterbury Campus of the University of Kent, located on the outskirts of Canterbury looking down towards the City and Cathedral. There will be five lectures, three Sectionals, Short Metre (offers to participate in the latter to the Secretary), and a Festival of Hymns in the Western Crypt of Canterbury Cathedral. Nominations request As last year, our first mailing of the year includes the opportunity to nominate members of the Society to represent you on our Executive Committee. The enclosed A5 Nomination Paper gives all the information. Apart from those who are ineligible (indicated on the form), any member may be nominated. Please follow the simple instruct-ions and either return the form or email me by 31st May. Additional nominations may be taken at Conference with a ballot, if necessary, taking place at the AGM. We regret also having to record the death of the Revd Canon Patrick Appleford who died in December. His most recent collection of 17 hymns and tunes was published in 2007, marking 50 years of hymn writing. However, he was working on a further collection of short pieces each illustrated with one of his hymns; it is hoped that this will be published shortly. Some of you will remember Joe Herl, a member of our Society through HSUSC, who was with us at our 2015 International Conference and who, with Peter C. Reske, presented a Sectional on Producing a hymnal companion using primary sources. Joseph, who is Professor of Music at Concordia University, Nebraska, has received the University’s 2018 award for excellence in teaching. He is in his nineteenth year at Concordia, where he teaches music history, music theory, liturgy, hymnody, and church music. In 2019 Concordia Publishing House will release the Lutheran Service Book: Companion to the Hymns, which Joe has co-edited with Peter C. Reske. Congratulations, Joe! 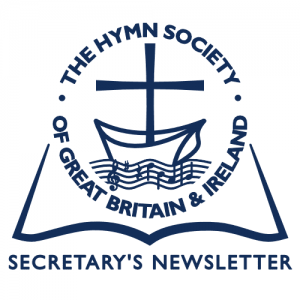 The second London Regional Day takes place on Saturday 9th March 2019 and promises to be an excellent occasion, as was the previous one, with several addresses covering various hymnological themes and culminating in a Festival of Hymns. All the necessary details and contacts can be found on the enclosed A5 flyer. If you are within travelling distance of London, do get along for the Day if you can. If you are not, please take a look at what is happening and consider whether it might be possible to initiate something in your Region. If you feel it is something you might be able to encourage or facilitate do get in touch with one of the Officers or members of the Executive; there are all sorts of ways in which we may be able to assist. Just prior to Christmas, I was forwarded an email from a member of the Stille Nacht Gesellschaft (Silent Night Society) with a reminder that Christmas Eve 2018 marked the 200th anniversary of the occasion when Stille Nacht / Silent Night was first sung, to guitar accompaniment, in the church at Obendorf, Austria. The story, both the facts and the myths, intermingled, are variously well-known. What is indisputable is that Stille Nacht / Silent Night has become one of our most well-loved carols and, apart from the story of how it came about, its prominence at the 1914 ‘Christmas Truce’, is recounted in Stanley Weintraub’s book Silent Night: The Remarkable Christmas Truce of 1914 (Simon & Schuster UK Ltd 2001). There were, apparently, many events taking place in Austria to mark the Bicentenary of Stille Nacht / Silent Night last December and Christmas Eve and there was at least one bilingual occasion of Worship which took place in Warrington UK. The information was circulated to all those on our emailing list with an encouragement to mark this very special anniversary on Christmas Eve; something we did here in Braithwaite in The Lake District where I was celebrating the Christmas Eve Midnight Eucharist. In response to the email, our member Nicholas Markwell noted that the original manuscript had been discovered around twenty years ago and, having seen a BBC4 documentary about it with the carol performed from the manuscript by a tenor and baritone accompanied on a guitar (all six verses in German), he had videotaped it and been able rather painstakingly to transcribe the music from the screen. It has since been performed in this original version, (accompanied by the guitar setting on the electronic keyboard), every year in the church at Caddington, Bedfordshire. Our member and hymn writer, Emma Turl, is seeking information about the composer, J. Bowcher, whose tune EAST HILL is set to O worship the Lord in the beauty of holiness in the Congregational Church Hymnal 1887. It was carried through into the Congregational Hymnary 1916, but not thereafter. So far it has not been traced in any other hymn books, nor have any other tunes by J. Bowcher been identified. His dates are unknown. It has been suggested that a selection of psalm and hymn tunes was published by an O. Nodes and J. Bowcher in 1803. If that is the case it seems likely, given the unusual spelling and the initial ‘J’, that they are one and the same which helps to locate him in terms of time. Spiritual Eldercare offers guidance and resources to meet the spiritual needs of older people, especially those with Alzheimer’s disease and other dementias. Access is available to free Bible studies, worship services, sing-along hymns, and other resources to help you walk alongside and bring joy and nourishment to the souls of senior people. Downloads from this online resource are free thanks to the generosity of many people and to some amazing musicians who have made it possible. It should be noted that these professionally recorded hymns are not typical performance tracks. They are specifically arranged as sing-alongs for older people with Alzheimer’s and dementia; that is, they are very simple, slower, shorter, and in a lower key than usual. They are, nevertheless, for all to enjoy! Click on ‘Resources’, and scroll down to ‘downloadable sing-along hymns’. all is chill and drear as death. 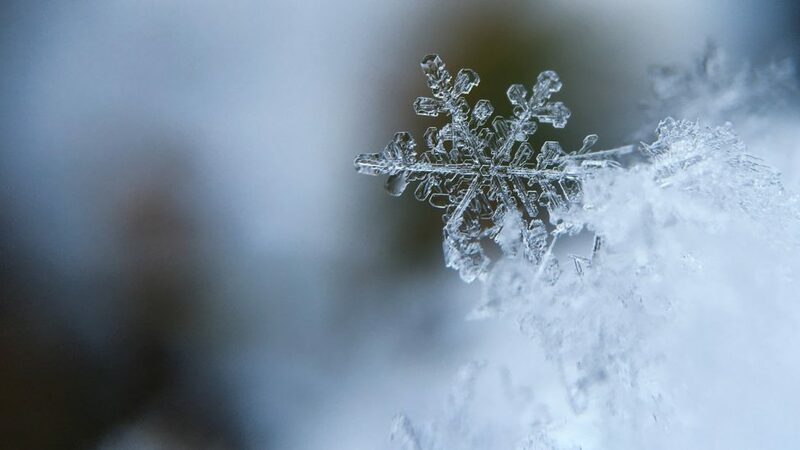 glorious from its wintry tomb. verses 1 & 5 from The Keswick Hymnal (not to be confused with The Keswick Hymn-Book) – more of that another month!